Cook peas as directed on package. Drain; keep warm. In ungreased 9x5-inch (1 1/2-quart) glass baking dish or 1 1/2-quart microwave-safe casserole, layer half of potatoes. 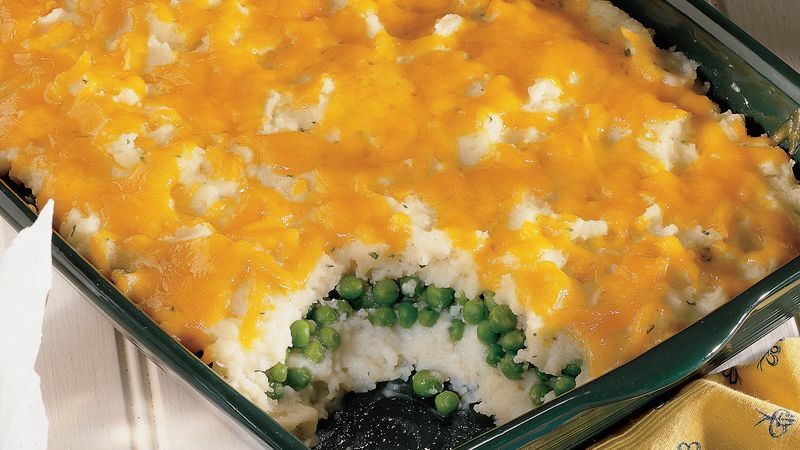 Top with peas, Parmesan and Romano cheese blend and remaining half of potatoes. Sprinkle with Cheddar cheese. Microwave on HIGH for 2 to 4 minutes or until cheese is melted. *For stiffer potatoes, stir in a few more potato flakes. For creamier potatoes, stir in a little more milk.